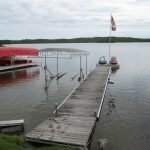 Water skiing, boating, fishing, and swimming. 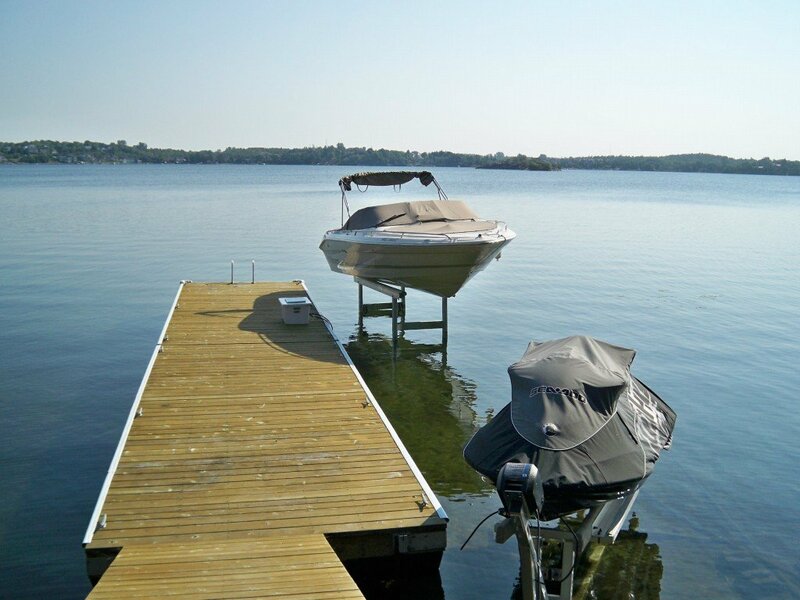 Enjoy every moment of summer from a new dock. 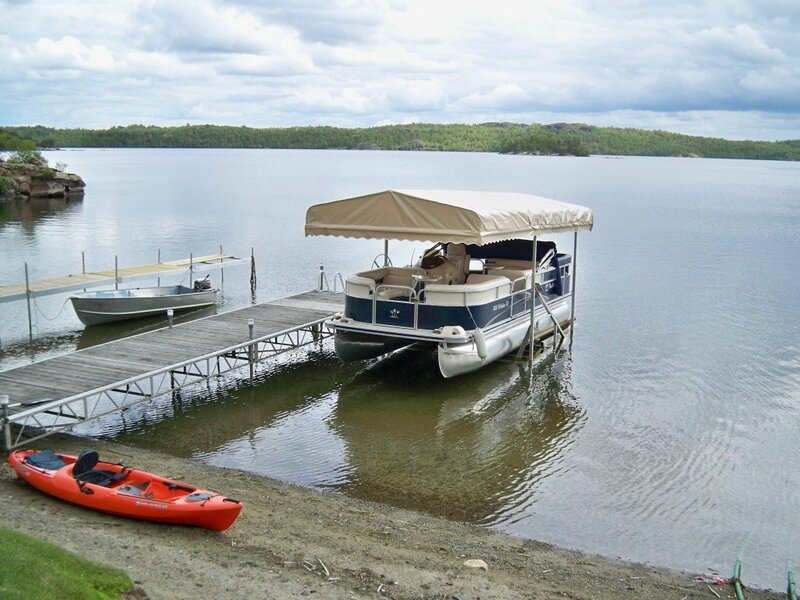 Install an affordable, high quality aluminum dock, as an attractive addition to your waterfront. 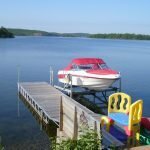 Docks & Decks Unlimited Inc. extends your summer season and gives you more time to spend with family and friends. 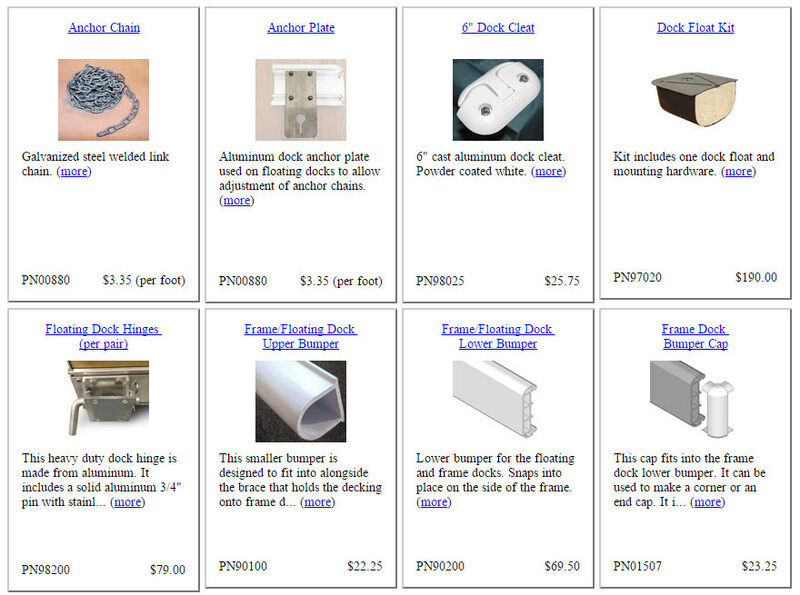 Here at Docks & Decks Unlimited Inc. we have all the accessories and hardware to fit your needs. 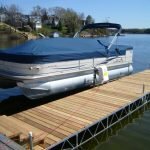 Docks & Decks Unlimited Inc. is your Authorized Eastern Township Docks Dealer. 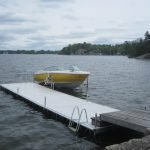 Since its creation in 1988, Eastern Townships Docks has specialized in the manufacturing of quality aluminum docks, boat lifts and accessories. The family business was able to listen to its customers which resulted in an enhanced and improved product line. 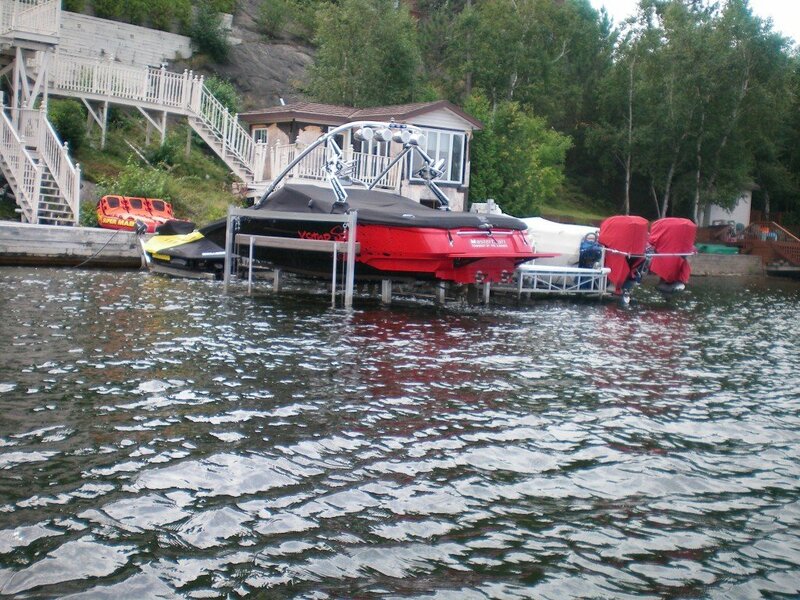 Over time, it has become a leader in the manufacturing of top quality aluminum docks and boat lifts. 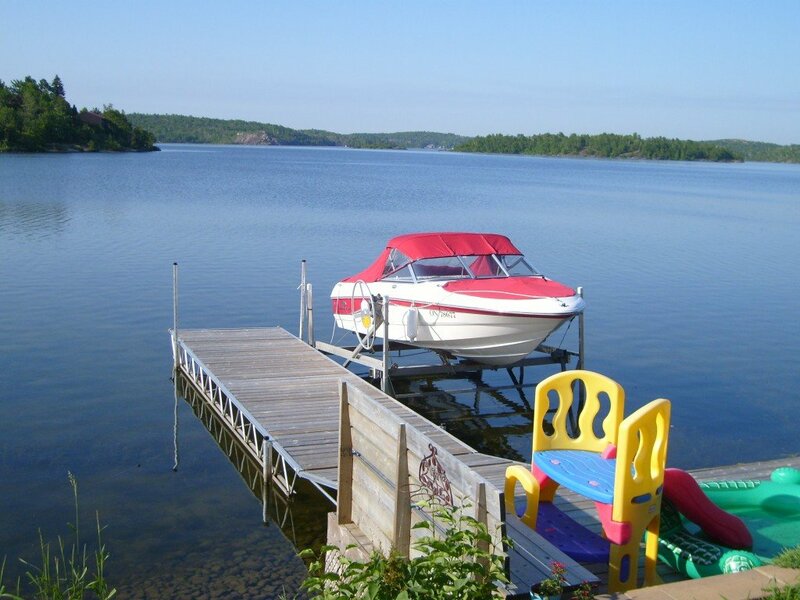 CLICK HERE TO VISIT THE EASTERN TOWNSHIP DOCKS WEBSITE. Docks & Decks Unlimited Inc. is your Authorized Fendock Dealer. 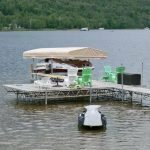 A versatile lightweight and modular dock system, Fendock brings you year after year of summer enjoyment. 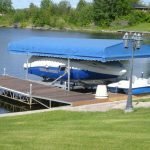 Made of the finest quality structural aluminum, Fendock is environmentally friendly and maintenance free, no annual repairs or rebuilding are required. Professionally designed and tested, Fendock has been satisfying docking needs for over 45 years. 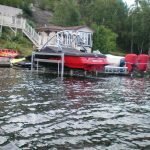 With new environmental laws pertaining to waterfront property a Fendock portable docking system is ideal for your home, camp or cottage. This is how your Fendock comes packaged. Legs, pads, bracing, nuts and bolts are all contained between the pre assembled trusses. Can be transported on car roof racks, by truck or trailer. Total weight 123 to 215 lbs depending on model. Standard packages are available in 24 and 32 foot lengths, in widths of 4 or 6 feet. 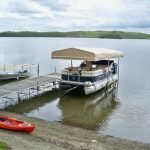 Each package includes 16 or 24 foot pre-assembled aluminum trusses, 8 foot approach ramp, two 4 foot and two 8 foot aluminum legs, hold-down decking clips, and all required hardware. Also available is a 16 x 12 foot wide deck dock and 24 x 12 deck dock. Approach ramp: An 8 foot ramp assembly is provided in the standard package. Two pre-assembled aluminum trusses with connectors are included. Ramp pivots up or down to shoreline as desired. Four tubular aluminum legs with “positive positioning” stainless steel fastpins are provided in the standard package. 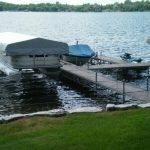 Legs are easily adjustable so you can raise or lower your dock quickly to suit changing water levels. 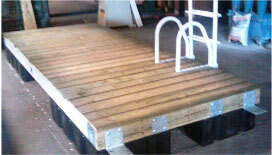 To distribute dock weight evenly, self-leveling aluminum pads are included with the legs. based on the standard packages. And it’s easy to add more sections to your existing Fendock at any time. Fendock is proud to offer a 5 year warranty which is a testimony of the quality workmanship and materials used in the manufacturing of our products. This warranty is valid only upon normal use and under normal conditions. Our detailed warranty is available on request. 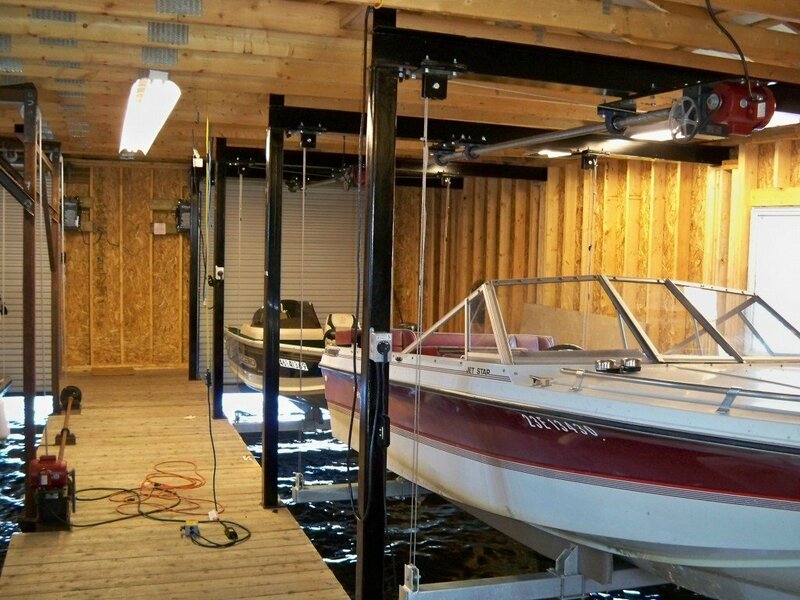 Truss Docks are available in 16′, 24′, 32′ and 40′ lengths, all in 4′, 6′ or 12′ widths. The modular side trusses are separated into 8′ modules. The 8′ modules are connected using precision engineered couplers which form a permanent connection. Once the “Modular” docks are assembled, they are not meant to come apart. 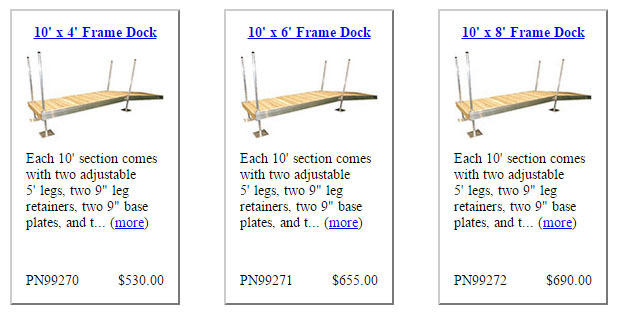 *Note: Wood decking not included in the 2015 price schedule below. @ 23 lbs, 96? x 10? x 5? @ 55 lbs, 97? x 16? x 6? @ 16 lbs, 73? x 6? x 4? @ 34 lbs, 97? x 16? x 6? @ 11 lbs, 97? x 7? x 4? @ 5 lbs, 55? x 4? x 4? Frame docks have a rigid 5.5″ aluminum extrusion frame which bolts together. It is available in 10′ lengths as well as 4′, 6′ and 8′ widths. Each 10′ section comes with two 5′ leg assemblies, and two sets of hinges. Leg height is adjusted using 2 set-screws per leg, and legs are mounted inside the frame. Wood decking is held in place using an aluminum angle down two sides, which is bolted down between the wood slats. All dock sizes given as length x width. 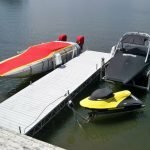 Dock AccessoriesCustomize your Fendock to meet your specific needs, or just dress up your waterfront with these accessories. 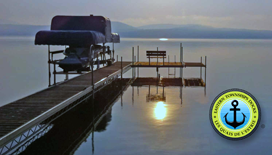 Docks & Decks Unlimited Inc. is your Authorized Dock Edge Dealer. 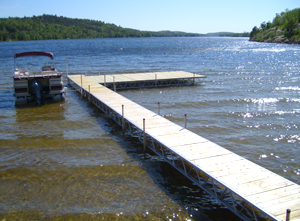 We are proud to provide the world’s finest quality dock products. For over 15 years our customers have come to us for reliable service and quality products. 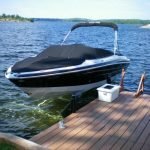 From our dock and boating accessories to our dock construction products, we provide high quality products and service that meet the special needs of our customers. 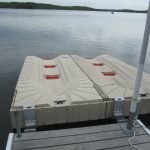 Docks & Decks Unlimited Inc. provides a wide variety of dock hardware and accessories including: Dock Protection, Dock Accessories, Dock Construction, Solar Lights, BoatFenders, Boat Accessories, PWC Accessories and much more. CLICK HERE TO VISIT DOCK EDGE WEBSITE. 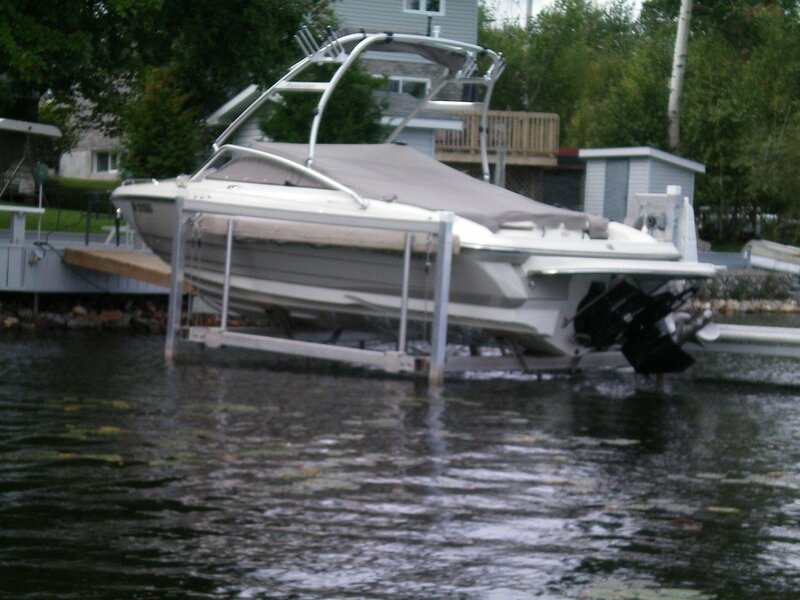 Naylor Systems offers a wide variety of dock platforms to suit your shoreline needs. 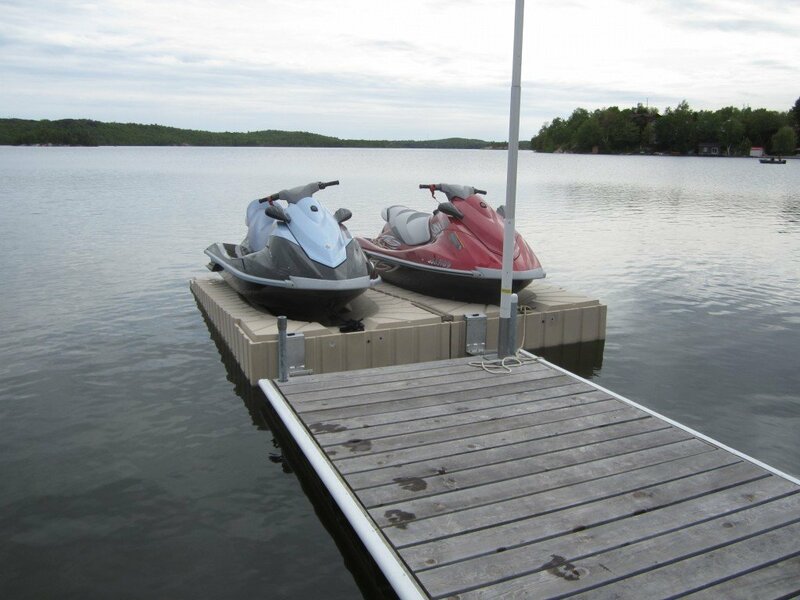 Aluminum lift docks provide a permanent system that you simply swing up and out of the water. 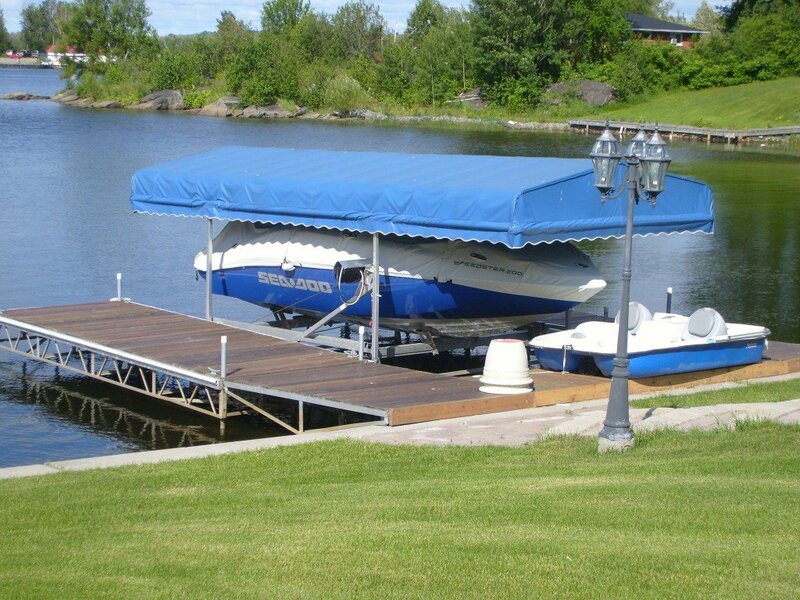 Our aluminum Interlock Series dock provides versatility in configuration. 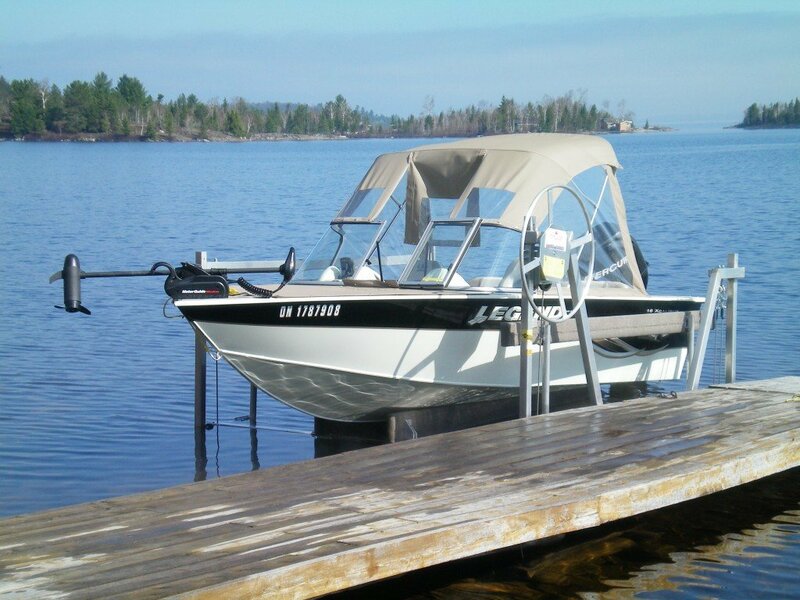 Wheel-N-Docks roll into the water in the spring and out again in the fall. Individual shoreline requirements may vary. Consult your authorized Naylor Systems dealer in your area. Site inspections available, call for details. Rightfully named, this is the “Superior” of all docks. Comes with 4″ extrusion around the top containing two separate bumpers, plus a lower extrusion containing the 3rd bumper. 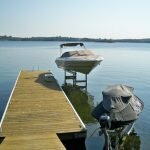 You will feel comfortable with your larger boat on this dock. Includes full 18″ Torpedo corner bumpers. This is a stylish dock that sets itself apart from all other manufacturers. There is no mistaking the high quality and superior detailing of this product. 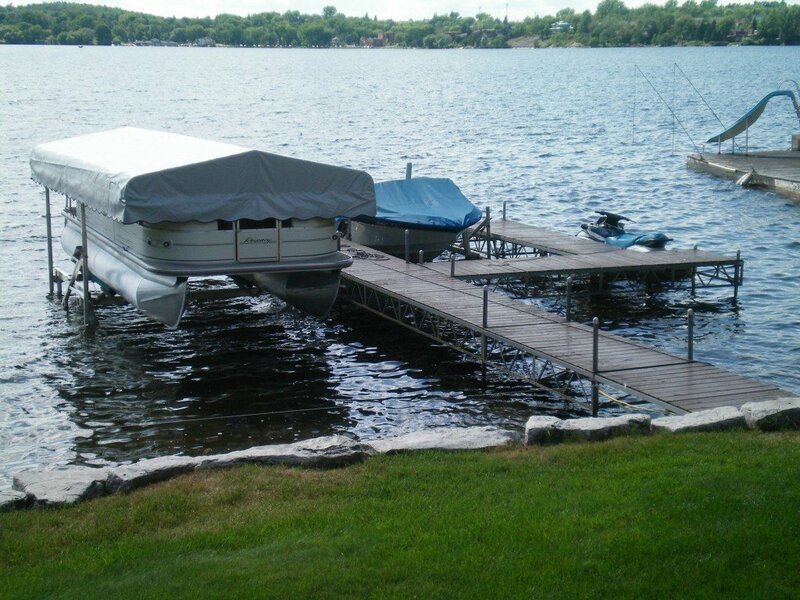 With its distinct look and heavy duty construction, people will immediately know you have a Naylor Systems dock. Colour options include choice of white, tan, and grey. Structural aluminum frame for convenience, durability, and long lasting satisfaction. 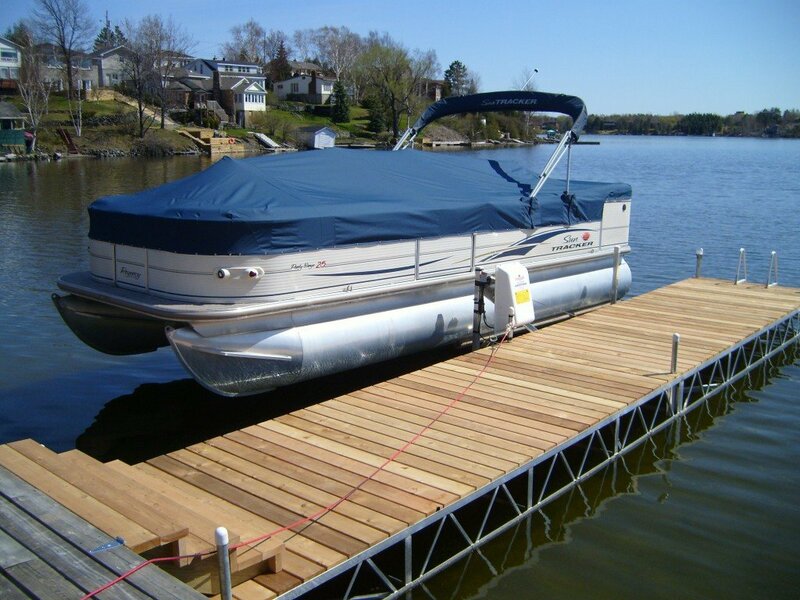 The interlock design enables docks to be joined together in any design configuration. This feature is exclusive to the Interlock Series. 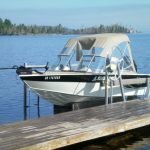 Provides telescopic leg adjustment between the dock leg and holder. 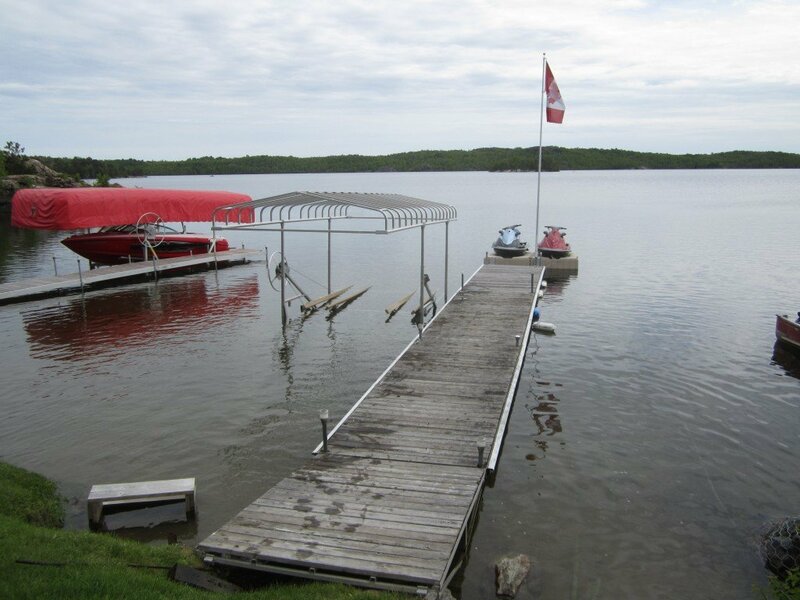 The dock leg does not protrude through the deck. Extruded aluminum side rails provide a crisp, clean, functional appearance. Western Red Cedar or Raindrop 2″x6″ decking. Two-foot panels complete with snap-on clips. 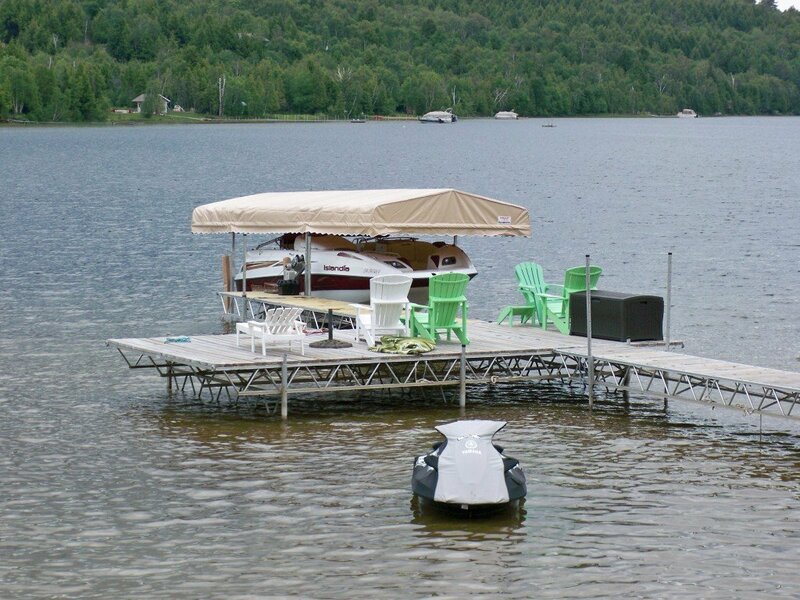 Wheel-N-DockOur Wheel-N-Dock is manufactured in two versions, Web style and Superior style. Both are offered in two sizes, 4′ x 16′ and 6′ x 16′. The Superior style is fully compatible with our standard Superior Docks. The ultimate in ease for rolling in and rolling outalong with good looks to compliment your shore. 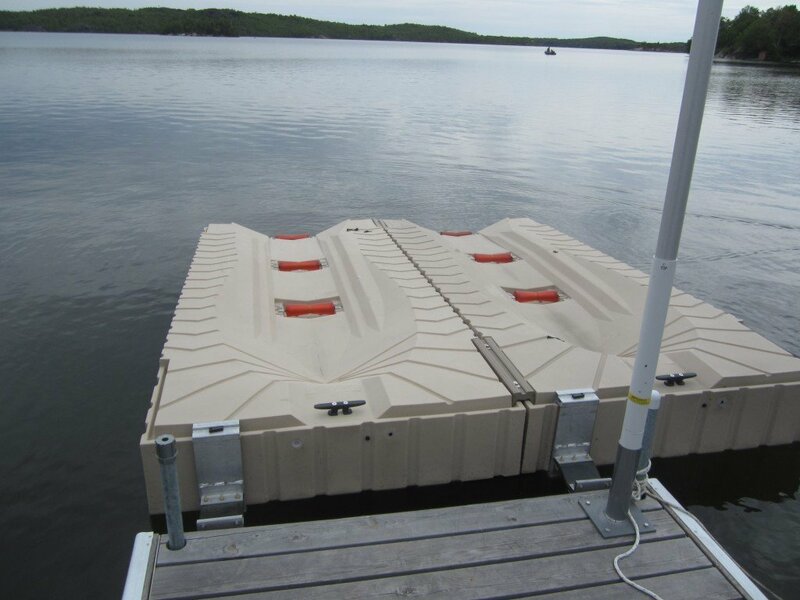 A compact and lightweight version of our high quality structural aluminum dock. 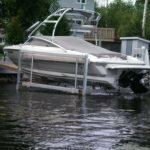 Naylor Systems lightweight aluminum boat lifts are perfect in shallow or deep water, on calm bays or windy lakes. These lifts can accomodate boats from 1,000 lbs to 10,000 lbs. All models feature a stainless steel adjuster pin for easy levelling. 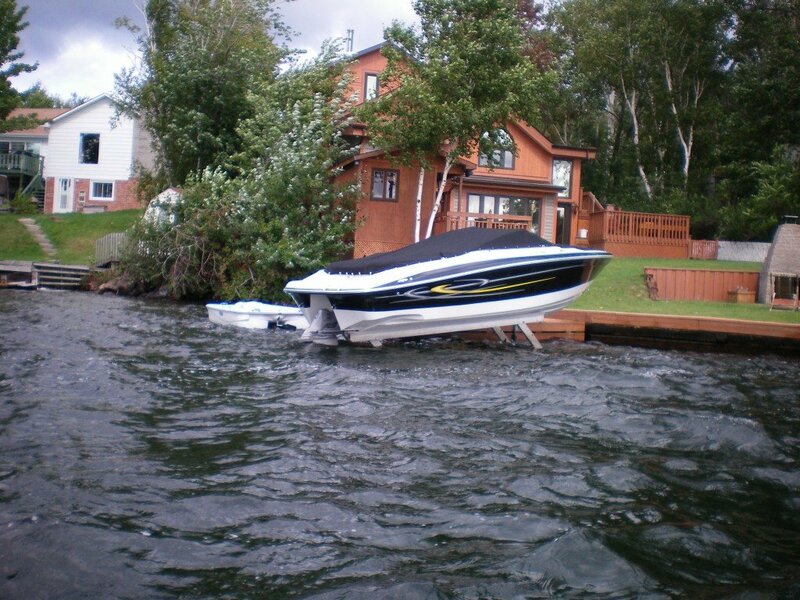 Our hydraulic models are quiet and efficient and do not require electricity to your dock. They operate on a 12 Volt system and include a remote control for ease of use. 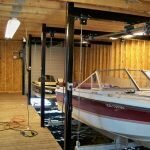 We have the right lift for your boat. 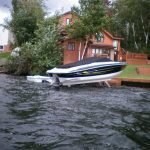 Be sure to look at a roof system as well, to keep your boat in showroom condition. Dry boat weights are often understated by manufacturers and do not include gas, gear, etc. We recommend dry boat weight plus 20% for fully loaded weight. 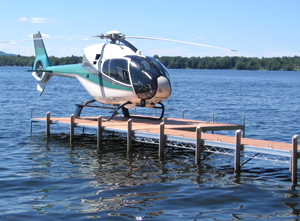 Warranty is void if the lift capacity is exceeded. Site inspections available, call for details. 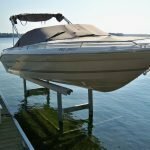 Wet Slip Boat LiftsWet slip boat lifts can keep almost any boat high and dry when not in use and when you want to go out, simply lower your boat gently into the water. 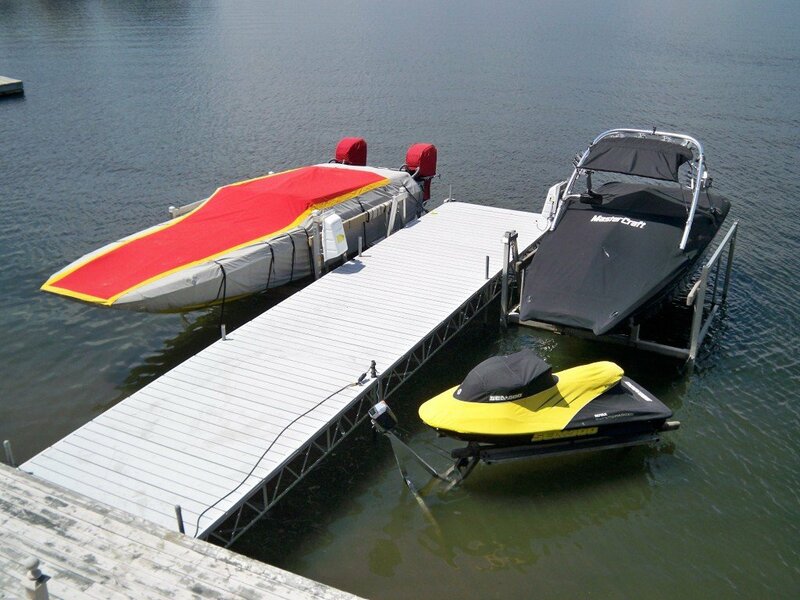 Our wet slip lifts can easily accomodate boats up to 20,000 lbs. 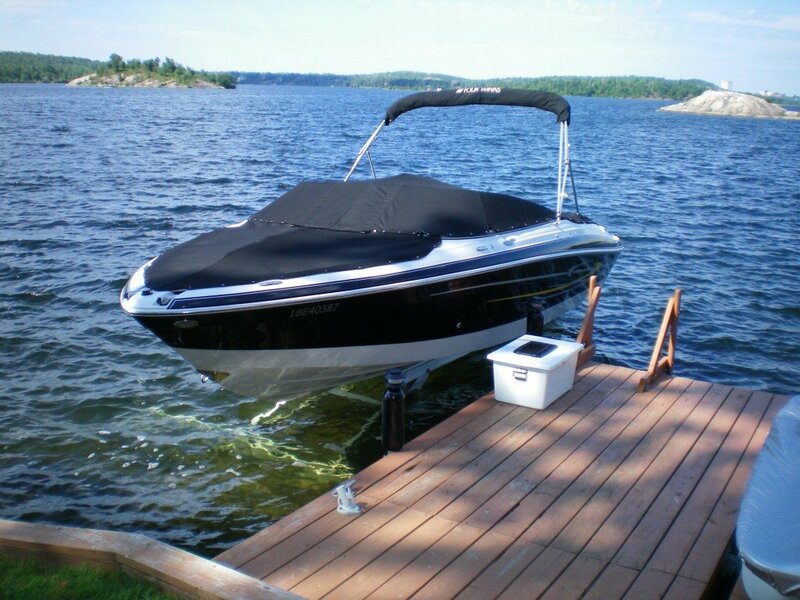 Your boat remains clean from water-borne dirt and contaminants. It is kept safe from wind, water, and ice. And there is no easier way to inspect your craft! Naylor lifting frames are available. 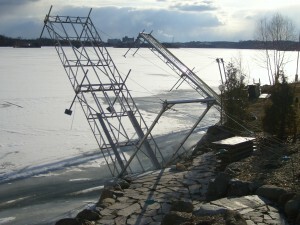 A site inspection is advised for wet slip boat lifts. Marine RailwaysOur marine railways are suitable for a wide variety of boating enthusiasts. These railways can accomodate aluminum fishing boats right up to cabin cruisers weighing 10,000 lbs or more. A Naylor exclusive: our cast wheels are designed specifically for marine railways. 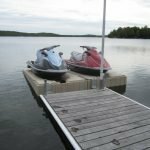 Options: pontoon bunks, double adjacent PWC bunks, and inboard ski boat bunks. Warranty is void if the capacity is exceeded. A site inspection is advised for marine railways. 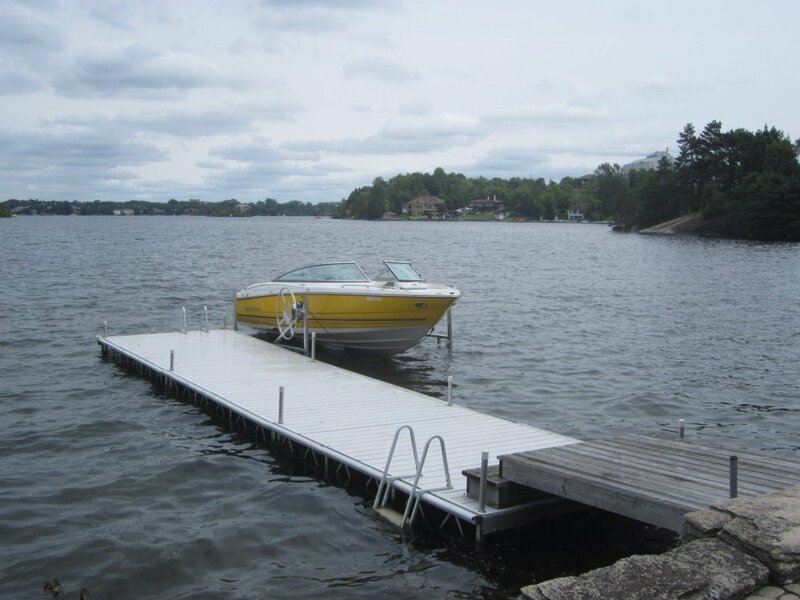 Made of aluminum, our Roller Ramp systems can accomodate boats and other watercraft up to 18 feet in length and 1,500 lbs. Lightweight : Structural aluminum frame for convenience, durability, and long lasting satisfaction. Keel Rollers : Heavy duty moulded black rubber 12″ V-style keel rollers. Axle Shaft : 5/8″ diameter stainless steel axle. Capacity : Maximum capacity of 400lbs. Available in 10′, 6′, 4′, and 2′ length. 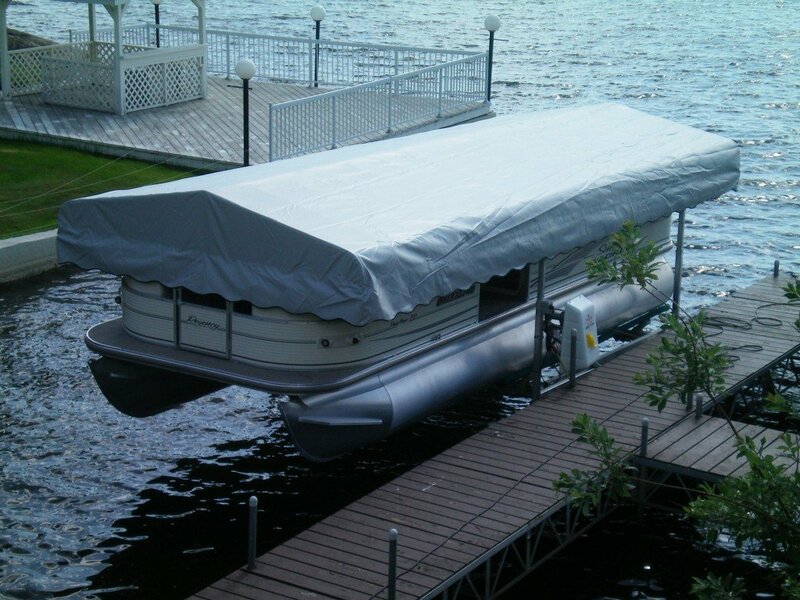 Protect your boat from the elements with one of our high quality roof systems. 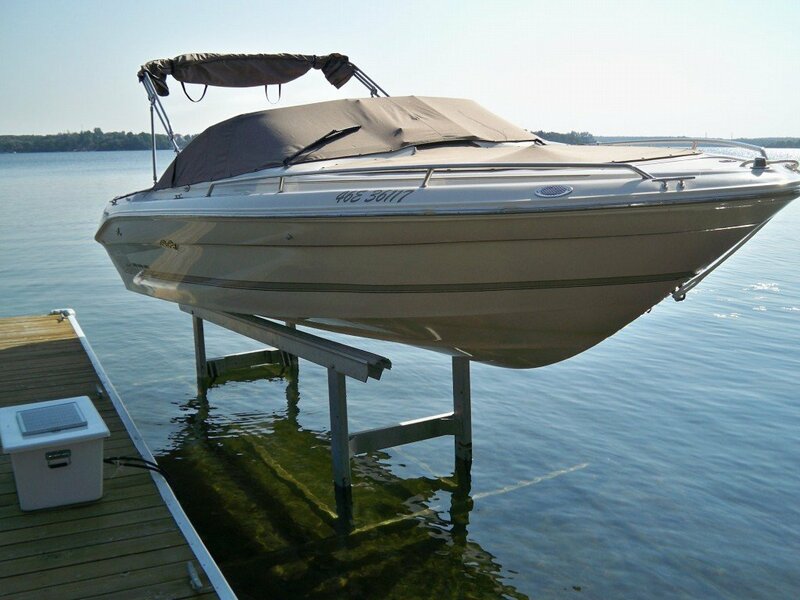 Our roofs can keep the sun’s harmful rays from oxidizing your fibreglass and fading your boat top. These systems come in a variety of colours and can fit most of our lift systems. 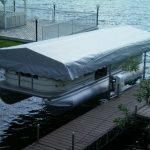 Do not leave the vinyl canopy on the frame during winter months, or for long periods of time when the lift is not in use.